The authors' research in the Hudson River Estuary has been generously supported by the Hudson River Foundation. We are grateful to our colleagues R. Aller, H. Bokuniewicz, R. Flood, R. Wilson, R. Geyer, and G. Kineke for discussions and to M. Wiggins, K. Roberts, and E. Goldsmith for their support in the field and laboratory. Aller, R. C., and Cochran, J. K. 1976.234Th/238U disequilibrium in nearshore sediment: Particle reworking and diagenetic time scales. Earth and Planetary Science Letters 29:37-50. Benninger, L. K., Aller, R. C., Cochran, J. K., and Turekian, K. K. 1979. Effects of biological sediment mixing on the 210Pb chronology and trace metal distribution in a Long Island Sound sediment core. Earth and Planetary Science Letters 43:241-59. Benoit, G. J., Turekian, K. K., and Benninger, L. K. 1979. Radiocarbon dating of a core from Long Island Sound. Estuarine and Coastal Marine Science 9:171-80. Bopp, R. F., and Simpson, H. J. 1989. Contamination of the Hudson River-The Sediment Record, in Contaminated Marine Sediments: Assessment and Remediation. Washington, DC: National Academies Press, pp. 401-416. Bopp, R. F., Simpson, H. J., Olsen, C. R., and Kostyk, N. 1982. Chlorinated hydrocarbons and radionu-clide chronologies in sediments of the Hudson River and estuary, New York. Environmental Science and Technology 15:210-216. Chillrud, S. N. 1996. Transport and fate of particle associated contaminants in the Hudson River basin. Ph.D. Thesis, Columbia University, New York, NY. Chillrud, S. N., Bopp, R. F., Simpson, H. J., Ross, J., Shuster, E. L., Chaky, D. A., Walsh, D. C., Choy, C. C., Tolley, L. R., and Yarme, A. 1999. Twentieth century metal fluxes into Central Park Lake, New York City. Environmental Science and Technology 33:657-62. Cochran, J. K., Hirschberg, D. J., Wang, J., and Dere, C. 1998. Atmospheric deposition of metals to coastal waters (Long Island Sound, New York, USA): Evidence from salt marsh deposits. Estu-arine, Coastal and Shelf Science: 46:503-522. Feng, H., Cochran, J. K., Hirschberg, D. J., and Wilson, R. E. 1998. Small-scale spatial variations ofnatural radionuclide and trace metal distributions in sediments from the Hudson River estuary. Estuaries 21:263-80. Feng, H., Cochran, J. K., and Hirschberg, D. J. 1999a. 234Th and 7Be as tracers for the transport and dynamics of suspended particles in a partially mixed estuary. Geochimica et Cosmochimica Acta 63: 2487-2505. Feng, H., Cochran, J. K., and Hirschberg, D. J. 1999b. 234Th and 7Be as tracers for the sources of particles to the turbidity maximum of the Hudson River Estuary. Estuarine, Coastaland Shelf Science 49:629-45. Goldberg, E. D., Gamble, E., Griffin, J. J., and Koide, M. 1977. Pollution history of Narragansett Bay as recorded in its sediments. Estuarine, Coastal and Marine Science 5:549-61. Goldberg, E. D., Hodge, V., Koide, M., Griffin, J., Gamble, E., Bricker, O. P., Matisoff, G., Holdren, Jr., G. R., and R. Braun, R. 1978. A pollution history of Chesapeake Bay. Geochimica et Cosmochimica Acta 42:1413-1425. Hirschberg, D. J., Chin, P, Feng, H., and Cochran, J. K. 1996. Dynamics of sediment and contaminant transport in the Hudson River estuary: Evidence from sediment distributions of naturally occurring radionuclides. Estuaries 19:931-49. Olsen, C. R., Larsen, I. L., Brewster, R. H., Cutshall, N. H., Bopp, R. F., and Simpson, H. J. 1984. A geochemical assessment of sedimentation and contaminant distributions in the Hudson-Raritan Estuary. National Oceanic and Atmospheric Administration Technical Report OMS NOS 2, Rockville, MD. Olsen, C. R., Larsen, I. L., Mulholand, P. J., Von Damm, K. L., Grebmeier, J. M., Schaffner, L. C., Diaz, R. J., and Nichols, M. M. 1993. The concept of an equilibrium surface applied to particle sources and contaminant distributions in estuarine sediments. Estuaries 16:683-96. Olsen, C. R., Simpson, H. J., Peng, T.-H., Bopp, R. F., and Trier, R. M. 1981a. Sediment mixing and accumulation rate effects on radionuclide depth profiles in Hudson estuary sediments. Journal of Geophys-icalResearch 86:11020-11028. Olsen, C. R., Simpson, H. J., and Trier., R. M. 1981b. Plutonium, radiocesium and radiocobalt in sediments of the Hudson River estuary. Earth and Planetary Science Letters 55:377-92. Sneed, S. B. 1985. Sediment chronologies in New York Harbor borrowpits. Master's Thesis, State University of New York, Stony Brook, NY. Thomson, J., Turekian, K. K., and McCaffrey, R. J. 1975. The accumulation of metals in and release from sediments of Long Island Sound, in L. E. Cronin (ed. 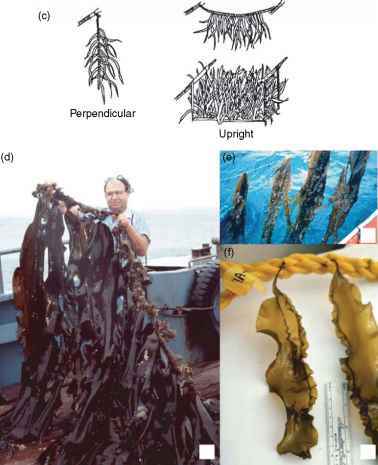 ), Estuarine Research, Vol 1. New York: Academic Press, pp. 28-44. Turekian, K. K., Cochran, J. K., Benninger, L. K., and Aller, R. C. 1980. The sources and sinks of nuclides in Long Island Sound, in B. Saltzman, (ed. ), Advances in Geophysics, Vol. 22, Estuarine Physics and Chemistry: Studies in LongIslandSound.New York: Academic Press, pp. 129-64. Woodruff, J. D., Geyer, W. R., Sommerfield, C. K., and Driscoll, N. W 2001. Seasonal variation of sediment deposition in the Hudson River estuary. Marine Geology 179:105-119.